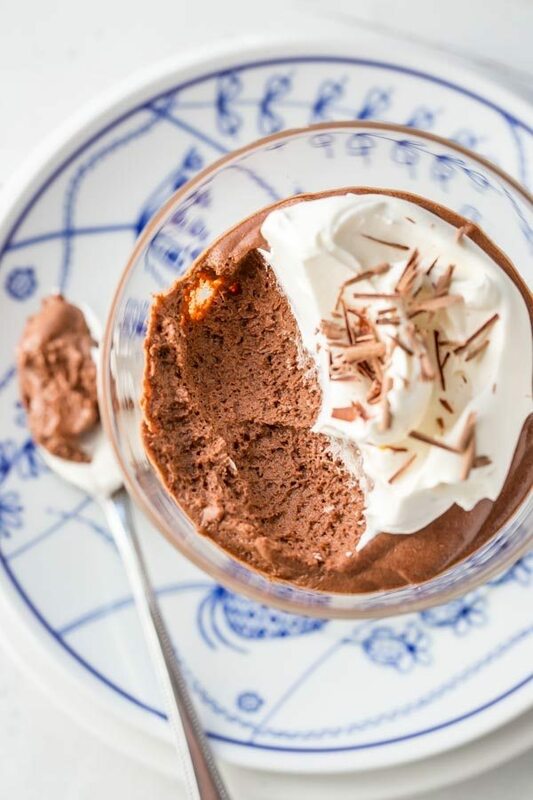 Mousse is a very stable dessert that won’t melt or lose it’s great texture if you linger too long at the table. That makes it great to serve at parties or buffets. 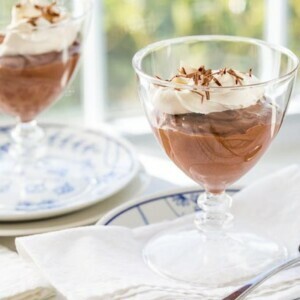 Mousse is also a terrific filling for cakes, trifles or layered with crushed cookies for a pretty parfait. Because it has a nice rich taste with plenty of chocolate flavor, a little can go a long way. 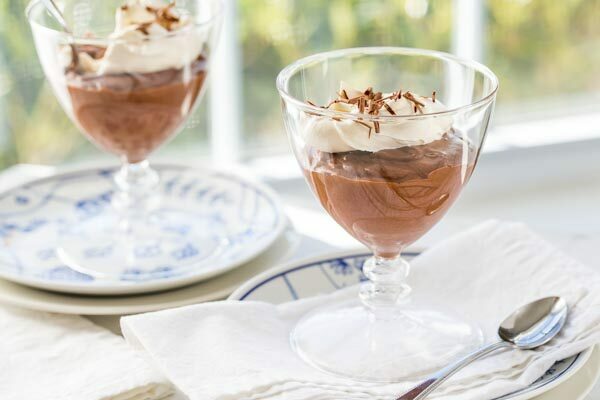 For fun, pipe Baileys Chocolate Mousse onto spoons or into miniature dessert bowls with fruit on the side; it’s a great way to serve a crowd. 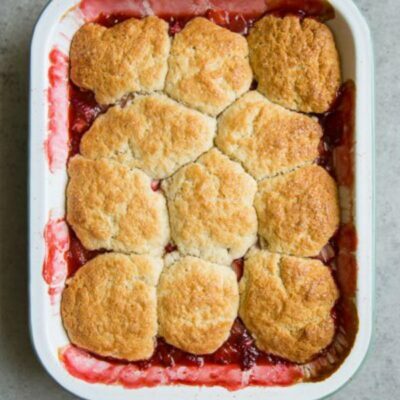 Since you’ll need to make this dessert at least a few hours before serving, or up to a day in advance, you’ll have more time to finalize the remainder of your menu. 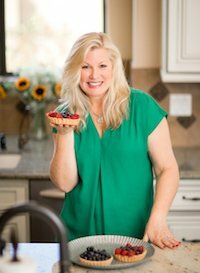 That makes this mousse a stress free, easy to make, delicious dessert you can serve with confidence! The texture of a great mousse can vary greatly from recipe to recipe. Some mousse recipes are made with egg whites providing the fluffiness, while other use whipping cream. I’ve even read recipes that use neither and depend on a basic chocolate ganache whipped into a frenzy for a thick, rich, creamy dessert. Mousse is sometimes stabilized with softened gelatin but when chocolate is a big part of the recipe, it’s not needed. A few recipes also use egg yolks to add a thicker, richer texture, like a light and airy pudding. For the healthier among us, I hear avocado mousse is pretty amazing too! 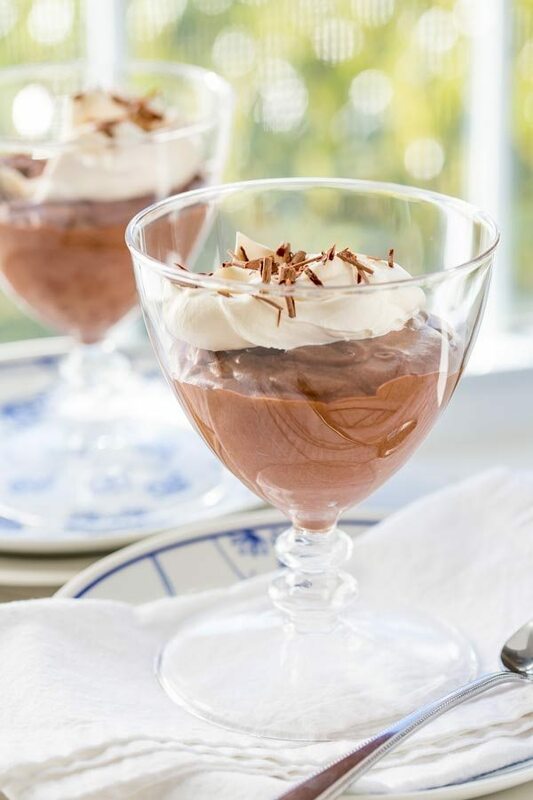 After testing a few mousse desserts, we cobbled together a little bit from several recipes and came up with a lovely, lightly sweet, fluffy and delicious mousse we know you will love too! Made with both egg whites and whipped cream for loft and fluffiness, and egg yolks for a terrific creamy texture, this recipe is a winner! 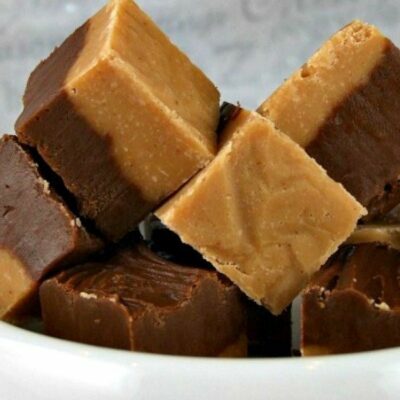 We suggest using the best quality semi-sweet chocolate you can find for this recipe. 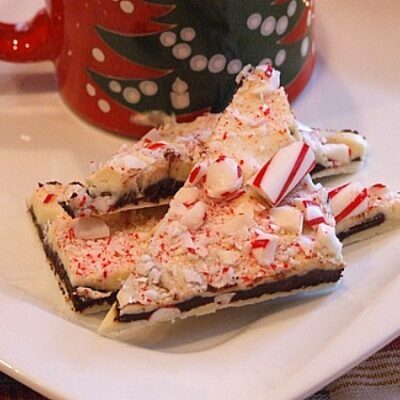 We tested with bittersweet chocolate too, but prefer semi-sweet in this recipe. Also, any Irish cream liqueur will do, it doesn’t have to be Baileys. We just happen to love Baileys and had a bottle on hand. Feel free to use your favorite light rum, brandy or a great orange-flavored liqueur too – it’s all good! Place a medium heatproof bowl over a large saucepan of lightly simmering water. Add the chopped chocolate and stir occasionally until melted. Add the butter, one piece at a time and stir until melted before adding another. Add the salt and the Baileys and stir until completely incorporated. Whisk in the yolks, one at a time, making sure the first is fully blended before adding the next. Set the mixture aside. Remove the saucepan of simmering water from the heat. Allow it to rest for a few minutes to cool. Add the egg whites to a clean heatproof bowl and set over the saucepan of hot water. Stir continuously until the egg whites are slightly warmed, about 2 to 3 minutes. Remove the bowl from the saucepan and using an electric mixer, beat the egg whites on medium speed until soft peaks form. Raise the speed to high and slowly add the sugar. Beat until soft peaks form. Add 1/4 of the beaten egg whites to the chocolate mixture and fold together until incorporated. Add the remaining egg whites and gently fold the mixture together, using a rubber spatula. Be gentle and try not to deflate the egg whites. In a clean bowl with clean beaters or a whisk attachment, whip the cream to soft peaks. Gently fold the whipped cream into the mousse. Divide the mousse between 3 to 4 bowls, serving dishes or goblets. 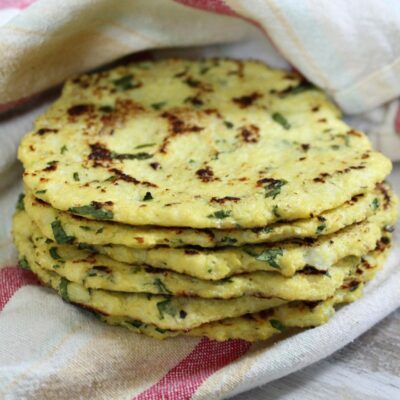 Refrigerate until cooled completely, then cover and keep refrigerated for at least 2 hours or until ready to serve. Top with sweetened whipped cream, chocolate shavings and/or fresh strawberries. Mousse made be made 24 hours in advance. 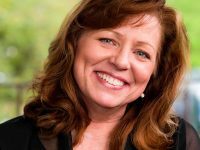 Feel free to substitute any brand of Irish cream for the Baileys. You may also use light rum, a good quality orange liqueur or brandy in place of the Irish Cream. If you prefer to skip the liqueur, add 1 teaspoon vanilla extract to the mousse. 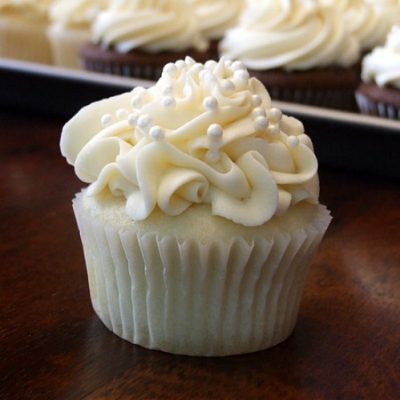 What a heavenly treat! My family would love this for Valentine’s Day!